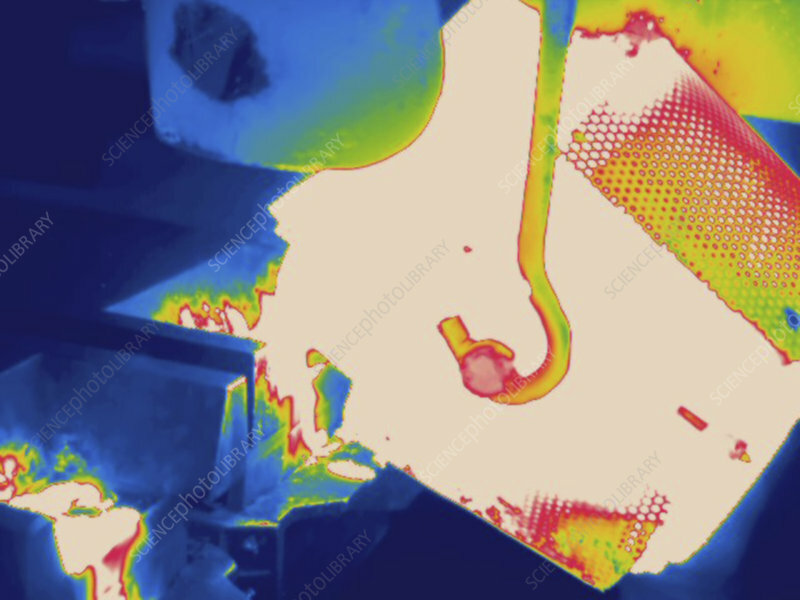 Thermogram showing temperature variation of pouring molten metal into mold in Metal Foundry. The colors show temperature variation. The temperature scale runs from white (warmest) through red, yellow, green and cyan, blue and black (coldest).